Among the conditions that many people claim when they are asked what they don’t like about themselves, the gap between their teeth is a very telltale feature. Sometimes as a child it seems that it will appear more intensely in the future, and sometimes it is more noticeable during a young age. Many children experience diastema, and in the United States the number is even greater than 95%. The two front teeth of the upper jaw is the region in which is it most frequently seen. The number of children that have this condition decreases as they grow older and these gaps that are formed find ways to close themselves up naturally. After around the age of 16, if the diastema still is common, it usually will remain for the patient’s entire life, or potentially require treatment. One interesting fact about this condition is about it’s prowess: In Africa, diastema is seen as an attractive characteristic, and patients there have had the gap created through surgery. Namibia, Nigeria, and Ghana are some of the countries where this issue is looked at very differently than in North America. • Overcrowding : As the teeth come in, they are simply too big for the jaw that will be their permanent foundation and home. • Missing teeth: This provides a pre existing gap that only becomes more complicated as other teeth form and make their way into the mouth. • Thumb Sucking: Even though this is usually just associated with an overbite, it can contribute greatly to the diastema condition as well. • A large labial frenum: The frenum is the tissue that connects your gums and lips, and when this is too large to begin with, can cause this space between the teeth. • Low attachment of the muscles: The muscle that attaches your upper lip to your gums causes your lips to be in the right place. On some people, this muscle is attached a bit differently, and can cause the space between the teeth to develop over time. • Thrusting of the tongue: Some have the habit of pushing the tongue around against the front upper teeth, and this can be a main root cause of the problem. 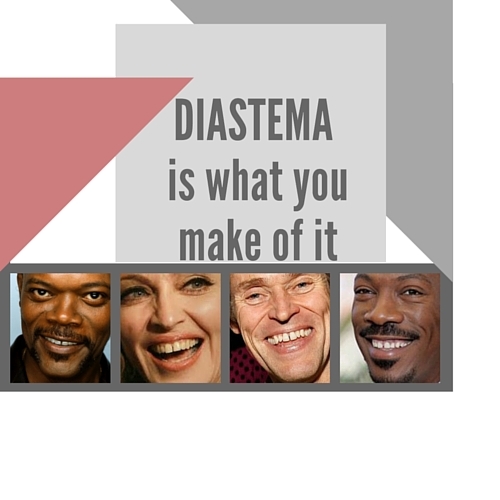 What are some of the best ways to fix diastema? When patients arrive at the dentist office for non emergency treatment, one of the first things they say that they would like to fix about themselves is the gap between their front teeth. They immediately want to start talking about solutions to fix it, and this is understandable. We live in a society where we are absolutely judged by our looks, and we want to always of course make the best first impression imaginable. This resource on the web we found offers a few solutions for treatment for the condition of diastema. 1. 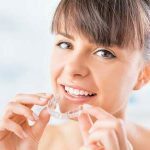 Braces: Many cases of diastema will require placement of braces by an orthodontic professional, and the use of a retainer as well that will affect the tooth placement. 2. Removable Braces: For some cases of diastema that are not as serious, braces that are not on 24 hours a day can still be used to effectively work with the problem. 3. 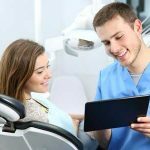 Cosmetic Options: Veneers and dental bonding can help greatly with diastema, and are used is many instances where there are no other threats to your mouth or dental health. 4. 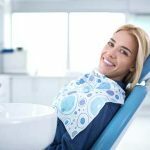 Bridges or Implants: When the diastema is caused by a missing tooth, these options are among the best to ease the gap and make the overall appearance much more favorable. 5. Scheduled Surgery: If the diastema’s main cause is a large labial frenum, you may need a frenectomy before orthodontics, which removes the tissue and gets the space ready for the eventual closure of the diastema. Some people think that this is the most dreadful thing that could ever happen to them, and some think that they can live with it. Others even see it as a fashion statement and a benefit to their appearance, and not just within the African cultures. Many times this creates a fond image in our subconscious about a person, and other times we may be put off a bit by it. Whichever is your preference, you can find a suitable treatment if need be to fix the appearance if it makes you uncomfortable. Here are a few famous and high profile people with this condition. Check out our post on dental anxiety, or another one on the fear of dental needles! 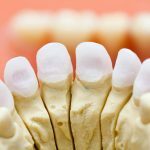 What Causes Gap Teeth and Can You Create a Gap? How Do Teeth Gap Bands Work?